Nice, having an added cache would be nice. Please keep AO easy! By adding caching you are going to make it more difficult to use. AO is the best plugin to optimize asset files (JS / CSS), and this is one people use it. The solid reputation of the plugin has been created by being the best one on what it does. 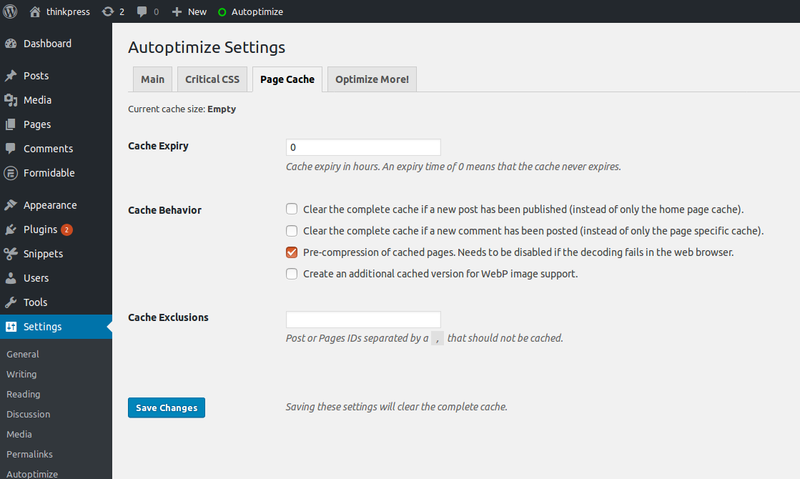 By integrating caching, I’m afraid to see AO the new W3TC or Hummingbird with a ton of options. Hummingbird is a good example as it just integrates caching few weeks ago. It was a good plugin for optimizing assets and some other stuff but since caching is integrating this is a buggy plugin. Again, please keep your plugin for why is famous: simple to use and optimize assets. That being said the “extra optimizations” I announced yesterday will be included in the very near future, what do you think about those? Glad to hear you have the same thoughts! About the extra optimization, my feeling will be the same. Disabling the emoji doesn’t help to speed a website. This option is interesting for a blog website with lot of comments which include emojis. Other than that, it won’t help any websites to be faster. Same felling for removing query string, it will help only to be friendly with Google PageSpeed but it won’t help to have a faster website. removing emoji’s does result in 1 js-file not being loaded, even if no emoji’s are used, so that one does have a (small but real) performance benefit. So I added “preconnect” yesterday Matt, that can have a very significant perf. impact, see https://www.igvita.com/2015/08/17/eliminating-roundtrips-with-preconnect/ for technical info. My only reason to vote ‘yes please’ would be that, based on your comment that ‘the developer abandoned it’, Cache Enabler is a pretty straightforward solution that works well with Autoptimize. Alt: take it over from the dev? enjoy the end-of-year celebrations Shane!